Wow! 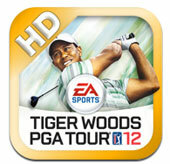 If your a golfer or a fan of this sport than this is the only iPad game you need. Having played a variety of sport games on the iPad, Tiger Woods PGA Tour 12 is easily the best sport game on this portable smart device. From its flawless gameplay, amazing graphics, this game has all the bells and whistles, including real-world golfers such as Tiger Woods and Natalie Gulbis to eight official courses such as Pebble Beach and St. Andrews. This is virtual golfing at its best. However where Tiger Woods PGA Tour 12 shines on the iPad is through its sturdy control system that is not a cut down version of some mobile app. Rather, this golfing game allows you to have full control over shots as you attempt to get your ball as close to the hole as possible. The game does contain a tutorial to assist you in mastering the controls as you use your finger to control a power meter to hit your shot. The idea is simple, you move your finger down the meter and then up again in order to hit the ball. By moving your finger slightly to the right or the left, this will impact on which direction your ball will go. If you move your finger all the way down the meter, this will ensure that you hit your ball harder so depending on your distance and difficulty level, a careful balance must be achieved. There is also a percentage display in order to help you with the shot but after a few holes, you will soon get into the swing of things (pun intended) as you attempt to better your shots. 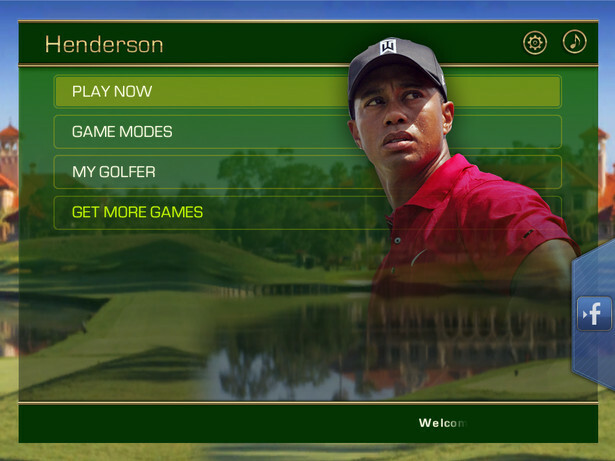 The game contains a variety of gameplay modes that include PGA Tour, Tiger Challenge and Multiplayer Game. Whether you have chosen to play a full round of golf or a partial round, the game will save your position if you get interrupted or need to do something else on your iPad. 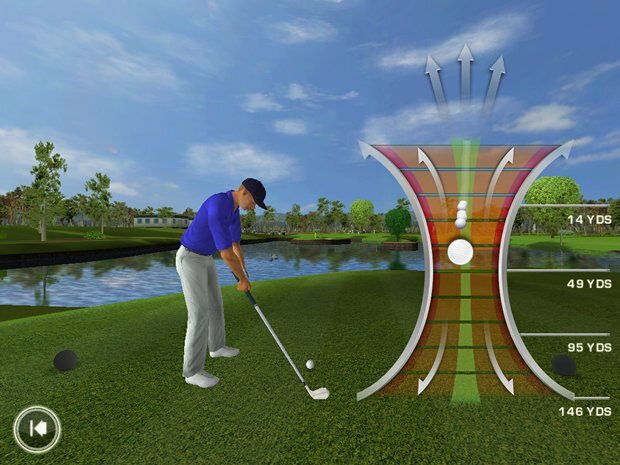 The game even contains a head-to-head mode via WiFi or Bluetooth that allows you to play against other virtual golfers and is actually quite fun or even via FaceBook. 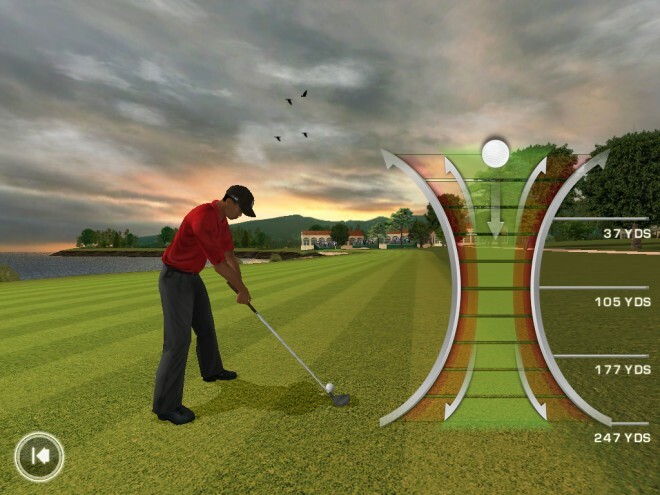 My favourite mode however is the PGA Tour Mode that allows you to engage in various tours across the golfing circuit as you attempt to become the best virtual golfer. If you want a break, there are some fun gaming modes that include the Tiger Challenge which is a collection of mini-games where you need to compete and win money in order to unlock prizes and the like. However before starting the game, you need to customise your Avatar and this is probably the only let down of the game as its quite simplistic. The only real detail and customisation options you have is changing the colours on your golfers outfit and you do have two genders to choose from, male and female. But once in the game, it's great attempting to beat these real-world golfers and once you have mastered the control system, this is a very realistic possibility. Graphically, Tiger Woods PGA Tour 12 is pure eye candy on the iPad that features some amazing courses such as St. Andrews or Boston plus a special surprise that I won't spoil. Everything looks quite realistic on the course as well, from the trees to the grass, the sand and the realistic weather, it's truly a joy to watch. Then you have the realistic golfers that move like their real-world counterparts, although they do look a little cartoony compared to the console version of this game. Add in commentary and those clichéd golf sounds and this is a good looking and sounding game. The music is a little generic in the game so thankfully you can play your own set lists via MP3. In the end, Tiger Woods PGA Tour 12 is a very impressive game on the iPad that contains some of the best graphics to grace this smart device with almost flawless gameplay. So what are you waiting for, pick up your iPad, choose your virtual golfer and starting hitting those balls as you improve your skills and become the best possible virtual golfer you can be. With tons of replay value, this is gaming at its best on the iPad!